Our primary focus at Okanagan Custom Homes is to ensure that each and every customer has the most pleasant home building experience possible. At Okanagan Custom Homes we are committed to working with you every step of the way to ensure that we build you the custom home of your dreams. 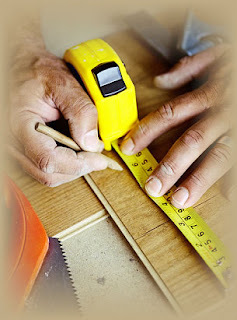 We specialize in Custom Homes, Built GreenTM, Custom Finishing’s, Design and Renovations. Personal attention to detail is the trademark of this company. The highest standards are achieved by the team members and pride is taken to present the client with outstanding results. As a General Contractor, and a Licensed Residential Green Builder it’s our belief that every client has a unique set of goals and expectations for their project. We provide the necessary attention, in order to achieve those goals. The pre construction phase is one of the most critical phases of a construction project. During pre-construction, we will explore and /or advise on the theme of the style of construction for your specific project, establish a budget, and scheduling. From this we develop a plan for work to be implemented during construction and advise both clients and trades as to the best use of resources to provide the best value without compromising quality. Okanagan Custom Homes works jointly with clients, design professionals, and construction trades to develop this path for success of your dream home. At this point a full contract may be tailored to your specific project. Structural Insulated Panel or SIP is the new buzz-word in building construction industry as 21st century "green" building material. SIPs can be used in the construction of exterior walls, floors and roofs of residential and commercial buildings offering advantages of low cost and energy conservation over traditional wooden frame construction. SIP addresses two major concerns while building "green" home - energy efficiency and diminishing natural resources. The general characteristics of all SIPs are two exterior skins sandwiching a rigid foam plastic core made up of low cost expanded polystyrene material. The skins most generally used are oriented strand boards (OSB), plywood or gypsum board. The resulting sandwich panel is exceptionally solid, cost effective and energy conserving which can be used as load bearing walls, partitions and roof insulation. When used as a load-bearing wall or roof insulation, the two skins act as lean columns constantly supported by the rigid core to resist buckling and compression. When bending is applied to the panel due to a live or a wind load, the skins take most of the compressive and tensile forces and the core offers resistance to shear. Skins and rigid core acts internally to provide exceptional strength to the structure. The most important characteristic of Structural Insulated Panel which has led to rapid growth in its demand is excellent energy efficiency and improved thermal performance. Today, one of the major challenges for any home owner is to control increasing energy costs. SIPs are practically airtight panels due to the nature of material used and fabrication process. This results in less cooling during winters and less hitting in summer! Hence buildings made with SIP panels require less expensive cooling and heating systems than a normal building saving more energy and costs. A building constructed with SIPs takes less time than the one with wooden frame. This saves you labor and wastage at the job-site. 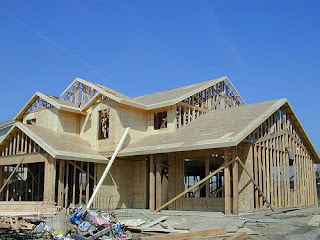 Overall building a home with SIPs can save you energy, costs, time and labor too! Design of Structural Insulated Panel requires good amount of structural drafting & design services. To build a home is the dream of many people. While it conjures up images of happiness and family life, the whole process can difficult and emotionally draining. Such a project is fraught with financial risks; the most common are delays and associated cost overrun. To minimize those risks, it is important for people to be well prepared and have a clear plan. Many people place offers on a vacant lot and approach me to arrange lending with one or two week window; which is way too short for most situations. Financing construction is very different from getting a mortgage for an existing home. For a start, lenders typically lend up to 80% of finished appraised value without requiring CMHC insurance. Interest rates are commonly set at prime plus 2%. With construction financing, your loan may be drawn down in stages while making interest-only payments until construction is complete. Completion for homeowners means that the house is 100% complete and has its certificate of occupancy. 4. An additional advance may be requested to assist in purchasing the land. 5. Additional advances may be requested subject to an appraiser’s inspections to maintain sufficient cost to complete. Lending for construction is usually planned for 6 to 9 months depending on the project and the institution. At each stage of funds being advanced, an appraisal and inspection of the property and a lien search is typically required. The goal here is to ensure that construction is following the plan as stated in the application. This list is not exhaustive and will vary between lenders. This article is meant as an overview and specifics will vary between lenders. In writing the article I searched the internet for information, and I did not find much. The reason is simple, each project is specific and each lender adapts their practice to the local environment. Custom Homes - At Okanagan Custom Homes we offer a pleasurable custom build experience and our past projects and testimonials are a great testament to creativity and proven examples of great home building. Green Build Projects - At Okanagan Custom Homes green construction methods can be integrated into the build of your custom home. From design, construction, to build, the most significant benefits can be obtained, if the design and construction team takes an integrated approach from the earliest stages of a building project. Renovations - From concept to completion Okanagan Custom Homes helps homeowners meet their construction and renovation goals. Okanagan Custom Homes will help guide you through your renovation project so that any change you make in your home meets all your needs, present and future. Canadians and home owners in Kelowna, BC who want to sod their lawns or renovate their bathrooms will get a tax break worth up to $1,350 as a key plank of the government's effort to inspire spending. For a certain sector of consumers, 2009 could become the year of the reno, following the announcement Tuesday of a Home Renovation Tax Credit Tax Credit that lets taxpayers claim 15% of their fixups until Feb. 1, 2010. "The HRTC will provide a temporary incentive for Canadians to undertake new renovation projects or accelerate planned future projects," the budget documents said, "thus providing timely stimulus to the Canadian economy while boosting energy efficiency and the value of Canada's housing stock." The government said the incentive is expected to provide about $3-billion in tax relief to some 4.6 million families. The credit, which is available for homes and cottages effective immediately, is designed to boost construction, forestry and other industries.Taxpayers can claim renovations on their 2009 tax returns on costs over $1,000, but not exceeding $10,000.